miniOrange provides a ready to use solution for SumoLogic. This solution ensures that you are ready to roll out secure access to SumoLogic to your employees within minutes. miniOrange provides secure access to SumoLogic for enterprises and full control over access to the application. 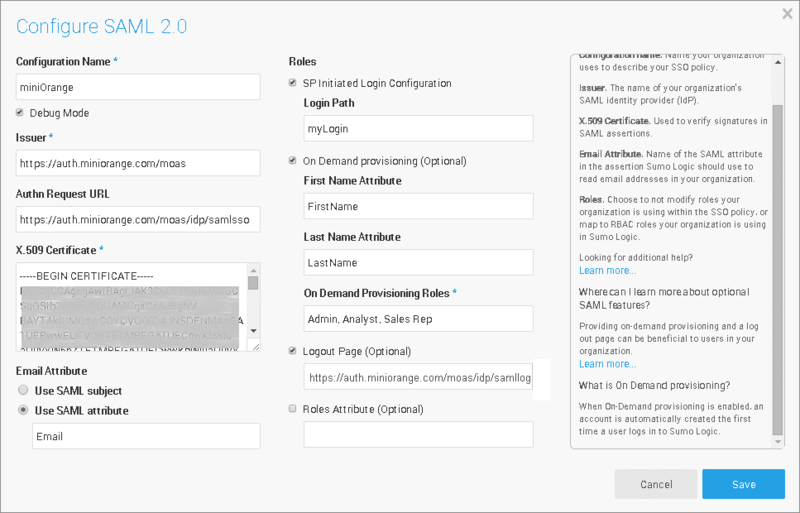 Single Sign On (SSO) into SumoLogic with one set of login credentials. 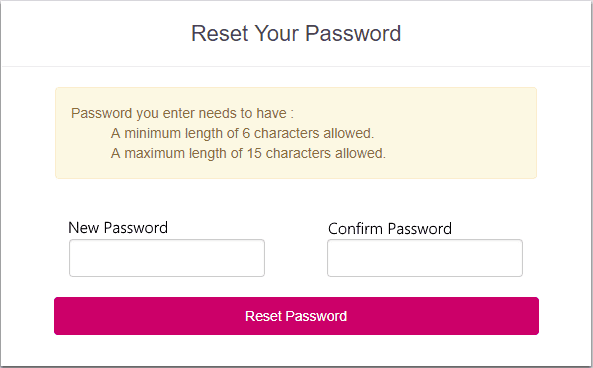 Secure your SumoLogic app from password thefts using multi-factor authentication methods with 15+ authentication types provided by miniOrange. Our multi-factor authentication methods prevent unauthorized users from accessing information and resources having password alone as an authentication factor. Enabling second-factor authentication for SumoLogic protects you against password thefts. The Enduser will be redirected to their SumoLogic account by clicking the SumoLogic icon on the Enduser Dashboard - there is no need to log in again. 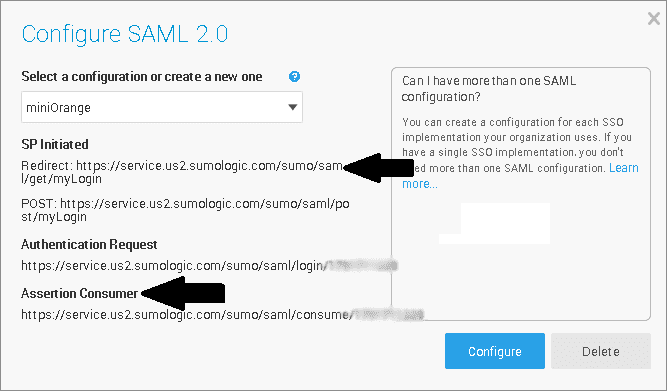 In SP Initiated Login, SAML request is initiated by SumoLogic. An Enduser tries to access their SumoLogic domain. Here they can enter the miniOrange login credentials and login to their SumoLogic Account. Click on SAML tab. Select SumoLogic and click Add App button. In the SP Entity ID or Issuer field, just enter ACS URL for now. In the ACS URL field, just enter ACS URL for now. Now enter the Canvas in the Policy Name field. Click on Save to configure Canvas. Click on Save to configure SumoLogic. Click on Download Certificate link to download the certificate which you will require later. Login to your SumoLogic domain as the Account Administrator. Click on Manage, and go to Security. Click on the SAML button. X.509 Certificate Open the downloaded certificate in Notepad and copy the content here. Email Attribute Select Use SAML Attribute and enter Email in the field below. SP Initiated Login Check the option. Login Path Enter any value for your reference like "myLogin". On Demand Provisioning If checked, then enter the next three values. Roles Enter any roles you have made. Again click on the SAML button under the Security section. Note down the SP Initiated Redirect URL as well as the Assertion Consumer (ACS URL). 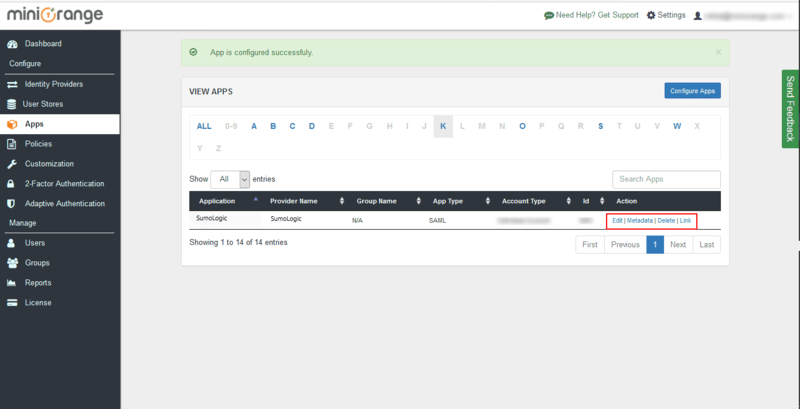 In the miniOrange Customer Admin, go to Apps and click on Edit for SumoLogic app in the table. Enter the ACS URL as noted down from the SumoLogic SAML Configuration Page. In the Attributes section, click on the '+' icon besides Attributes to add a set of attributes and enter the value Email in the Attribute Name field and select E-Mail Address from the Attribute Value list. Click on the '+' icon again to add another set of attributes and enter the value FirstName in the Attribute Name field and select First Name from the Attribute Value list. Click on the '+' icon again to add another set of attributes and enter the value LastName in the Attribute Name field and select Last Name from the Attribute Value list. Click on Submit to save the settings. 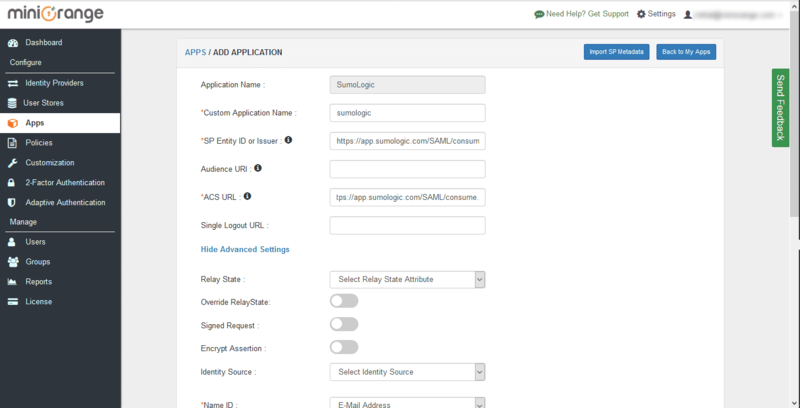 Click on sumologic application which you added, to verify your sso configuration.